Modern banks facilitate trade and commerce by rendering valuable services to the business community. Apart from providing appropriate mechanism for making payments arising out of trade transactions, the banks gear the machinery of commerce, specially in case of international commerce, by acting as a useful link between the buyer and the seller, who are often too far away from and too unfamiliar with each other. According to Foreign Exchange Regulation act 1947, “Any thing that conveys the right to wealth in another country is foreign exchange”. Foreign exchange department plays significant roles through providing different services for the customers. Opening or issuing letters of credit is one of the important services provided by the banks. 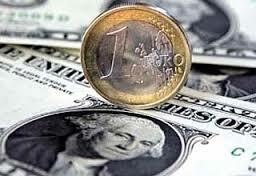 Letters of credit is the key player in the foreign exchange business. With the globalization of economies, international trade has become quite competitive. Timely payment for exports and quicker delivery of goods is, therefore, a pre-requisite for successful international trade operations. Growing complexity of international trade, separation of commercial parties across the globe and operating in a totally unknown environment underlined the need for evolving a system that balances between the expectations of the seller and the buyer. Documentary Credit has emerged as a vital system of trade payment, and fulfilled the requisite commercial need. This system substantially reduces payment-related risks for both exporter and importer. Not surprisingly, therefore, the letter of credit is the classic form of international export payment, especially in trade between distant partners. The bank upon presentation of stipulated documents (e.g., bill of lading, invoice, and inspection certificate) makes payment, acceptance or negotiation of the credit by the seller. Documentary Credit is an assurance of payment by the bank. It is an arrangement under which the bank at the request of the buyer or on its own undertakes to make payment to the seller provided specified documents are submitted. Documentary Credit is an arrangement whereby a bank (issuing bank) acting at the request and on the instruction of a customer (the applicant) or on its own behalf undertakes to make payment to or to the order of a third party (the beneficiary) or to accept and pay bills of exchange (draft) drawn by the beneficiary, or authorize another bank to negotiate against stipulated documents provided the terms and conditions to the credit are complied. Thus, documentary credits are akin to bank guarantees. In popular language, they are known as letters of credit (L/Cs). Bank guarantees are, however, issued to cover situation of non-performance whereas documentary credits are issued on behalf of the buyer to cover situation of performance, i.e., the issuing bank agrees to make payment to the beneficiary once he surrenders the requisite complying documents. However, the term documentary credit has of late been extended to cover the situation of non-performance too. Documentary credits have gained wider acceptance in international trade for they try to safeguard the interest of both the buyer and the seller by reducing their risks. Thus, documentary credit offers a unique and universally used method of achieving a commercially acceptable arrangement by providing for payment to be made against complying documents that represent the goods and making possible the transfer of those goods. Parties to the documentary credit may be an issuing bank, an advising bank, a confirming bank, a reimbursing bank or a negotiating bank. Issuing Bank: The Issuing Bank or the Opening Bank is one which issues the credit, i.e., undertakes, independent of the undertaking of the applicant, to make payment provided the terms and conditions of the credit have been complied with. The payment may be at sight if the credit provides for sight payment, or at maturity, dates if the credit provides for deferred payment. Especially the issuing bank should satisfy himself on the credit worthiness of the applicant. The credit application must be in accordance with UCP 500 and in a workable format. Advising Bank: The Advising Bank advises the credit to the beneficiary thereby authenticating the genuineness of the credit. The advising bank is normally situated in the country/place of the beneficiary. Confirming Bank: A Confirming Bank is one which adds its guarantee to the credit opened by another bank, thereby, undertaking the responsibility of payment/negotiation/acceptance under the credit in addition to that of the issuing bank. A confirming bank normally does so if requested by the issuing bank and it is normally the advising bank. Paying or Accepting Bank: It is the bank on which the bill will be drawn (as per condition of the credit). Usually it is the issuing bank. Negotiating Bank: A Negotiating Bank is the bank nominated or authorized by the issuing bank to pay, to incur a deferred payment liability, to accept drafts or to negotiate the credit. Reimbursing Bank: A Reimbursing Bank is the bank authorized to honor the reimbursement claims in settlement of negotiation/acceptance/ payment lodged with it by the negotiating bank or accepting bank. It is normally the bank with which the issuing bank has account from which payment is to be made. Revocable credit: A revocable credit is one where the issuing banks at liberty to revoke i e. cancels the credit at any time. Irrevocable credit: An irrevocable L/C is one, which cannot be revoked, amended or modified by the issuing bank. Sight L/C: the bank pays the stipulated sum immediately against the exporter’s presentation of the documents. Deferred L/C: The bank agrees to pay on a specified future date or event, after presentation of the export documents. Payment is given to the party at the rate of D.A 60-90-120-180 as the case may be. Generally bank requires 25% margin for opening cash L/C. The rest 75% will be recovered after reaching the Bill of Exchange from the foreign exporter. 1. Exporter development Fund is created by Bangladesh Bank to give encourage to the exporter in Bangladesh. 2. Generally Back-to-Back L/C is Usance L/C that is here bill of exchange is payable after some maturity date say 90 or 120 days after the date of acceptance/negotiation. But some foreign seller may require sight payment. Here import L/C matures first. In that case Bangladesh Bank gives the fund to the bank to pay the price of imported goods in favor of the local purchaser of raw materials. When export proceeds come, first Bangladesh Bank loan to the importer is adjusted and remaining part goes to the importer of raw materials. It is simply issued to the clients against an import L/C. Back-to-Back mechanism involves two separate L/Cs. One is master Export L/C and another is Back-to-Back L/C. On the strength of Master Export L/C bank issues bank to Back L/C. Back-to-Back L/C is commonly known as Buying L/C. On the contrary, Master Export L/C is known as Selling L/C. a. An Import L/C to procure goods /raw materials for further processing. b. It is opened based on Export L/C. c. It is a kind of Export Finance. d. Export L/C is at Sight but back to Back L/C is at Usance. g. Applicant has bonded warehouse license. h. L/C value shall not exceed the admissible percentage of net FOB value of relative Master L/C. i. Usance period will be up to 180 days. 2. Here L/C issued against the lien of export L/C. 3. Arrangements are such that export L/C matures first then out of this export profit, import L/C is paid out. The Import and Export Process would be easier to understand if we consider only two banks for the two parties. That means issuing bank for importer and negotiating bank for exporter. Even though there may be number of banks which play various roles. There are few steps involved in L/C opening process. As soon as the seller /exporter receives the L/C and is satisfied that he can deliver the goods mentioning in the L/C he is going to make shipment of the required goods to the buyer and after that, he presents the documents evidencing dispatching of goods to the negotiating bank on or before the stipulated expiry date of the credit. After receiving all the documents, the negotiating bank then checks the documents against the credit. The documents are sent to the issuing bank i.e. NCCBL and the bank will scrutinize all the documents and terms and conditions mentioning in the L/C. Indent: An indent stating the description of the goods including quantity, unit price, etc. given by the Supplier/Exporter.given by the Indenter. The documents should have been negotiated or presented before expiry of the credit. The import license or IRC number of the importer, indenters’ registration number and Letter of Credit Authorization number are incorporated in the Invoice. The amount in the Bill is identical with amount mentioned in the invoice. First, it has to be cleared that the Bill of Lading is showing “Shipped on Board” and it has to be properly endorsed to the bank. Does the insurance policy/Certificate agree with other documents as regards description, weight & marks of the goods, mode of transport & the route? Does the insurance company attached and as far as necessary, endorsed issue all the copies? After receiving the application form with other required documents submitted by the opener, they are to be thoroughly scrutinized. The L/C must not be opened in favour of the importer. If all the documents along with the application are in order, the financial position and credit worthiness of the importer, market demand of the good will is assessed. Margin for letter of credit will also be determined. The rate of margin depends on the financial condition of the banker, importers previous performance, status of relationship with the importer, nature of goods etc. This margin is to be retained from the importer either in cash or in debiting the importer current account with the bank. The importer is also required to pay the other concerning charge like foreign corresponding charge, telex charge if any, handling charge, and commission etc. The advising or notifying bank is the bank through which the L/C is advised to the exporter. It is a bank situated in the exporting country and it may be a branch of the opening bank. It becomes customary to advise a credit to the beneficiary through an advising bank. Advising depicts the proof of authenticity of the credit to the seller. The opening bank has a corresponding relationship or arrangement throughout the world by which the L/C is advised. Actually, the advising bank does not take any liability if otherwise not requested. The confirming bank does adding confirmation. Confirming bank is a bank, which adds its confirmation to the credit, and it is done at the request of the issuing bank. The confirming bank may or may not be the advising bank. The advising bank usually does not do it if there is not a prior arrangement with the issuing bank. By being involved as a confirming agent the advising bank undertakes to negotiate beneficiary’s bill without recourse to him. Letter of credit can be transmitted to the advising bank through SWIFT (Society for Worldwide Inter bank Financial Telecommunication). After verifying all that the respective officer opens an L/C. After giving the message to the advising bank, the bank keeps Margin on total L/C value. Normally the margin is kept 25%or it is based on banker customer relationship or based on goods imported. The beneficiary (exporter) receives the letter of credit from advising bank. After proper shipment of goods as per terms and conditions of the L/C, required documents like Commercial Invoice, Bill of Lading, and bill of exchange are presented to the negotiating bank by the beneficiary for negotiation. If the documents are in order as per L/C then the negotiating bank negotiates the drafts making payment to the beneficiary. Then the negotiating bank forwards the drafts along with the shipping documents to the L/C opening bank. The negotiating bank reimburses the amount paid against the draft from reimbursement bank (authorized by opening bank) by debiting Nostro A/C of the opening bank. Negotiating banks have the option to send the drafts and documents to the opening bank for collection. For any amendment the importer must request the issuing bank in writing duly supported by revised Indent/ Performa invoice. The issuing bank then advises the required amendment to the advising bank. L/C amendment commission including postage is charged to the clients A/C. The L/C issuing bank after getting the document and check the document and if the terms and condition meet the requirement, the issuing bank take initiative to make payment to the exporter through reimbursing bank. The issuing bank then inform the importer that his document has come to the Bank and by giving the payment he can release the document and unloading his good from the ship or any other place as per L/C terms and conditions. After realizing the telex charge, service charge, interest (if any), the shipping documents is then stamped with PAD Number & entered in the PAD Register. Intimation is given to the customer calling on the bank’s counter requesting retirement of the shipping documents. After passing the necessary vouchers, endorsement is made on the back of the Bill Of Exchange as “Received Payment” and the Bill of Lading is endorsed to the effect “Please deliver to the order of M/S———”, under two authorized signatures of the bank’s officers (P.A. Holder). Then the documents are delivered to the Importer. Import section helps business and other people to import goods. In international environment, buyers and sellers are often unknown to each other. So seller always seek guarantee for the payment for his goods exported. Here is the role of bank. Bank gives guarantee to the exporter that it will pay for the goods on behalf of the buyer. This guarantee is called Letter of Credit. Thus the contract between importer and exporter is given a legal shape by the banker by its ‘Letter of Credit’. Any such documents as may be required as per instruction issued/to are issued by the Chief Controller of Imports & Exports (CCI&E) from time to time. On receipt of the LCA Form and the other documents, the branch officials carefully scrutinize the documents and lodge the same in their respective registration books and duly verify the signature of the importer put on the LCA Form. To import, a person should be competent to be an ‘importer’. According to the “Import & Export Control Act, 1950”, the office of the Chief Controller of Imports & Exports (CCI&E) provides the registration (IRC) to the importer. After obtaining the IRC, the person has to secure a “Letter of Credit Authorization” (LCA) registration from the Registration Unit of Bangladesh Bank. After getting the LCA registration, a person becomes a qualified importer. He is the person who requests or instructs the opening bank to open an L/C is also called the “Opener” or “Applicant” of the credit. Import is the flow of goods and services purchased by economic agents located in one country from economic agents located in another. Hence, import of merchandise essentially involves two things: bringing of goods physically into the country and remittance of foreign exchange towards the cost of the merchandise and services connected with its dispatch to the importer. In case of import, the importers are asked by their exporters to open letters of credit so that their payment against goods is ensured. The other type of L/C facility offered by Principal Branch is Export L/C. 1.ERC: The exports from Bangladesh are subject to export trade control exercised by the Ministry of Commerce through Chief Controller of Imports and Exports (CCI & E). No exporter is allowed to export any commodity permissible for export from Bangladesh unless he is registered with CCI & E and holds valid Export Registration Certificate (ERC). The ERC is required to be renewed every year. The ERC number is to be incorporated on EXP forms and other documents connected with exports. 2.Obtaining EXP: After having the registration, the exporter applies to NCCBL with the trade license, ERC and the Certificate from the concerned Government Organization to get EXP. If the bank is satisfied, an EXP is issued to the exporter. Sector (Public or Private) under which the Exporter falls. 3. Securing the order: Upon registration, the exporter may proceed to secure the export order. Contracting the buyers directly through correspondence may be done. Some buyers of goods like jute and jute goods maintain liaison office, representative of local agents who can be contracted to secure a deal. Sometimes, TCB, BJMC and BJEC secure bulk contracts and pass or allocate the contracts to the actual exporters. The L/C allows sufficient time for shipment and a reasonable time for registration. 6. Procuring the materials: After making the deal and on having the L/C opened in his favor, the next step for the exporter is to set about the task of procuring or manufacturing the contracted merchandise. 7. Registration of sale: This is needed when the items proposed to be exported are raw jute and jute goods. Railway Receipt, Berge Receipt or Truck Receipt. Deferred Payment Credit: In deferred payment, the bank agrees to pay on a specified future date or event, after presentation of the export documents. No bill of exchange is involved. In NCCBL, payment is given to the party at the rate of D.A 60-90-120-180 as the case may be. But the Head office is paid at T.T clean rate. The difference between the two rates is the exchange trading for the branch. Acceptance credit: In acceptance credit, the exporter presents a bill of exchange payable to himself and drawn at the agreed tenor (that is, on a specified future date or event) on the bank that is to accept it. The bank signs its acceptance on the bill and returns it to the exporter. The exporter can then represent it for payment on maturity. Alternatively he can discount it in order to obtain immediate payment.